Pitched in a serene location barn-style clearing, next to the lush slopes, this canvas tent easily sleeps four with enough room to store luggage and movement. It has a solid floor and square lookouts to keep it naturally lit. 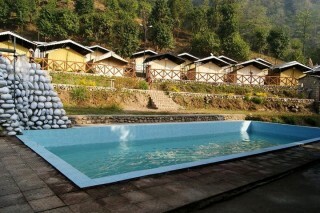 After a day in the rapids, a pleasant time in the splash pool will do well to recharge you for the adventurous day next. 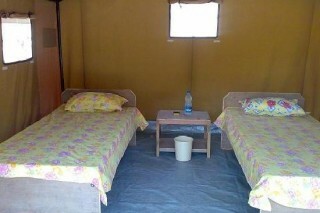 All the tents are provided with twin beds with crisp linen, two easy chairs in front and inside furnishings like a bedside table. Every tent has a charging point, a zero watt bulb and a fan. 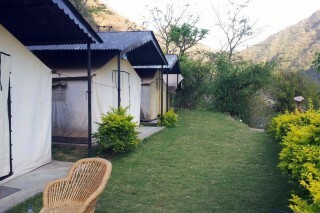 The sleeping area is approx 120 sq .ft with a canopy in front, to enjoy the inspiring panoramic vista of the green Ganges. The tents are pitched in a well spread out area. 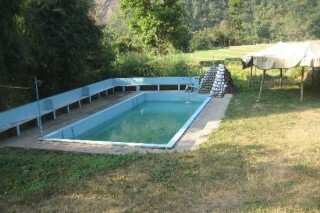 ACTIVITIES: RIVER RAFTING: There is nothing like a good rafting experience in the rivers of the Himalaya. The Ganga at Rishikesh offers ample opportunities for rafting. It is possible here to organize a half day trip or a full day trip which involves a run of 26 Km and requires a minimum of only two people as there are groups covering this stretch almost every day. 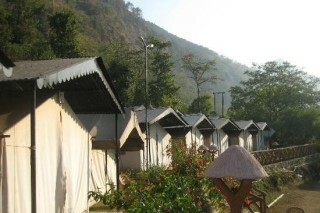 CAMPING : Rishikesh is considered as the paradise of gods. 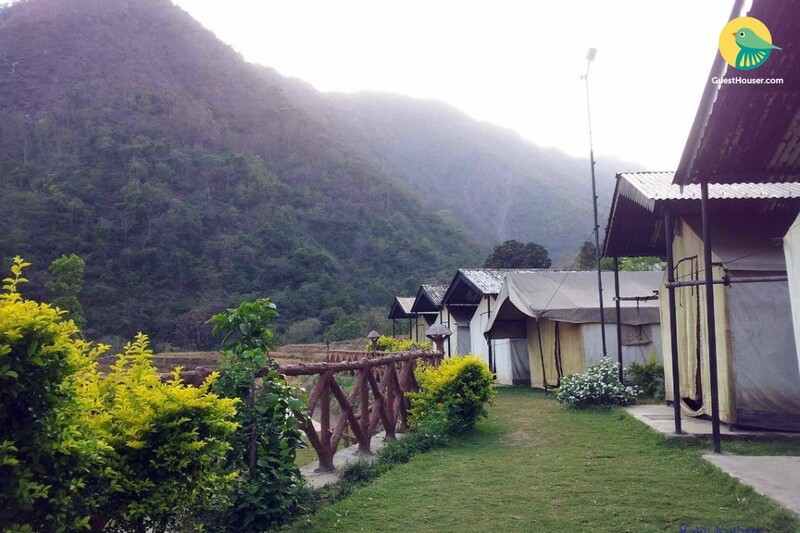 When it comes to Beach camping at Rishikesh, you get the opportunity to enjoy the nature with the blessings of the divine river, the Ganges. 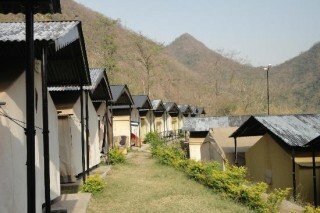 The camping facility in the beaches of Ganga is one of the popular styles of accommodation available at Shivpuri, Kaudiyala and Byasi near to Rishikesh. CLIFF-JUMPING : Cliff Jumping is one of the most exciting activities offered during River rafting in Rishikesh. 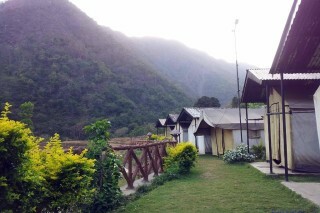 There is a cliff located in the lower part of the rafting trip in the Brahmpuri Stretch just 2 kms before Laxman Jhula. Nearest Railway Station - Rishikesh Railway Station: 38 km approx. Nearest Airport - Jolly Grant Airport: 53 km approx.